Video camera lights are so important to taking your videos to the next level. You can even have a cheap camera and having a soft light will give it a more professional look. 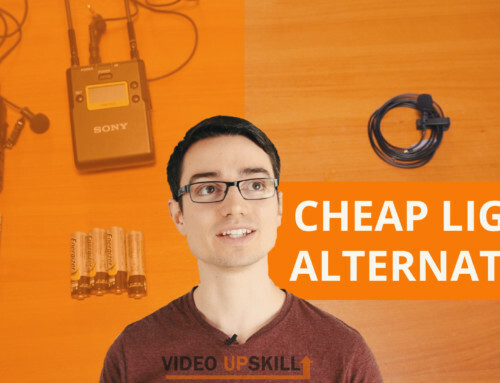 There are some video lighting tips before you buy in this video but this LED is awesome quality for it’s price and is great addition to your dslr video accessories. The Yongnuo air 300 LED video light has saved me at events because it’s light tone is very color accurate, bi color, lightweight and throws a nice soft light with it’s brilliant built in diffusion filter. In the past when I didn’t know better I just bought a cheap video camera light and thought it would be fine. I learn’t that a super cheap light causes everyone’s faces/skin to look very yellow/green, I really disliked using it, the white balance on my camera was correct but the super cheap light’s LEDs were way off. As soon as I bought the Yongnuo air 300 video light I have really enjoyed using it on lots of shoots. Not only is it a great on camera light but it’s also an easy table mounted video light and is thin so I easily keep it in my gear bag and it doesn’t take up much space. Hope you enjoyed some light entertainment focus in this Yongnuo air 300 review, looking to keep the videos more fun and light in the future. Enjoy and thanks for watching, stay awesome!